Sydney just experienced a once in a decade rain storm. Cars washed away in flash flooding, fallen trees blocking streets and the closure of two runways at Sydney airport. Mosman in Sydney’s north received 118 mm by 9am! Hopefully you escaped any major fallout bar a bit of debris and a quagmire in the garden? It’s a poignant reminder that these events come and go and most people just get on with life without looking back to see if there was any damage caused that wasn’t immediately obvious to us at the time? These and other events can create havoc with your guttering. It’s not necessarily rain, whether it be a flash storm or persistent showers that are the problem, it’s the way they can compound neglect. For instance, if your gutters are blocked and they’ve been that way for sometime, when the rain hits the build up of dirt and debris prevents the water from having the means to escape. That places enormous pressure on your gutters and it means that water will miss the channels that it should be using to escape. Your gardens could be ruined and your basement, or worst, your living areas could be flooded. 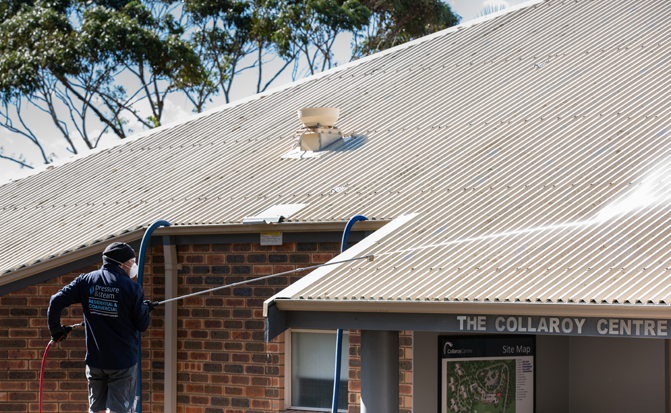 Roof cleaning in Mosman, Sydney central, inner west and surrounding suburbs, should be a priority for residents as soon as the weather warnings give you the all clear. Roof and gutter clearing is the best way to protect your home from water damage assuming there are no other stormwater problems in or around your home. Storms can shake leaves and small branches loose and they take up residence in your gutters. A cursory glance and flicking out the obvious debris when you put your ladder up to take a look won’t be enough. Like everything else in life, maintenance is important and you should schedule a maintenance check at least seasonally. Perhaps twice over autumn and winter. If you’ve neglected your roof and guttering for some time then you might need to clean your gutters with a pressure washer to get things moving again. That will rid the build up of dirt and take the pressure off your gutters. Remove moss from roof tiles. The build up of moss leads to debris getting trapped on the roof. Moss is bad for the components in shingles. It causes them to break down and erode. That’s expensive and something that can be easily addressed by regular maintenance checks. Gutters are the unsung heroes of the suburban home. They’re the first line of defence against water damage but often the last to get a bit of TLC. We spend hours getting the right lounge for the living room but neglect our gutters until things reach crisis point. Don’t have a crisis and then have to spend a fortune to have them replaced. Maintenance is the easier and least expensive path. 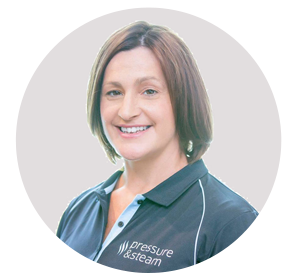 Contact Pressure and Steam for a check up today. You may avert a crisis !